On 13 December 2015, at least nine Palestinian students of the Palestine Technical University-Kadoorie in Tulkarem were shot by soldiers of the Israeli Occupation Forces. About 7,000 students receive their higher education at the University, which has been exposed to increasing attacks by Israeli forces, particularly since autumn 2015. Despite the fact that the University’s land is within Area A, as defined in the Oslo Accords, putting it under full Palestinian Authority, about 23 dunams of the land are used by the Israelis as a military training area. As a consequence, soldiers are continuously present on campus, which is leading to frequent violence against Palestinian students. Mohannad Youssef is a 18-years old resident of Nur A-Shams refugee camp, located about 3 kilometers east of the city of Tulkarem, who is one of the victims of December 13. Mohannad used to study at the Industrial Rehabilitation Center of Tulkarem to become a blacksmith and was visiting friends at Kadoorie University on the day of the shooting. When he was about to leave the University, he was hindered by the escalations taking place between Palestinian students who were throwing stones at the Israeli soldiers, who reacted with live fire. “I just wanted to get back home to have dinner with my family, but there were stones and bullets everywhere so I tried to stay out of the fire and waited for the incident to stop”, Mohannad describes. Standing there, with his arms folded and waiting for the violence to end, the at the time 16-years old boy was approached by a soldier when he suddenly felt pain in his eye. When the paramedics present at the scene saw that Muhannad was injured on his eye, they immediately took him to the public hospital in Tulkarem. “I was so scared, I was under shock and did not realize what happened”, Mohannad explains. As in several other cases, Mohannad became a victim of the use of excessive force by the Israeli forces against innocent civilians. Being at the wrong place at the wrong time has costed the young boy’s eyesight of his left eye, his life joy, chosen profession and lastly, caused a lot of trouble for his family. “I tried to reach my son for hours and I was so worried because he did not answer his phone. When I finally found out what happened, I rushed to the hospital. I was scared that he would turn blind like his grandfather, who received an injury on one eye leading to losing his sight on both eyes”, Mohannad’s mother tells. When she found her son with his eye covered and in pain, she learned that he had been shot and that a rubber bullet has entered his eye. The doctors of the hospital informed the family that the injured boy needs a surgery, but without insurance it was not affordable. Consequently, Mohannad’s case was transferred to Rafidia hospital in Nablus, where Mohannad underwent surgery and received a plastic eye cover, which was put in between his eye lids so he wouldn’t be able to close his eye. After 6 months, he received a glass eye in Najah hospital in Nablus, despite the fact that it did not fit. As a consequence, Mohannad’s eye got infected and he sought treatment in St. John Eye hospital. At the time, the young boy had already been transferred from one hospital to another over the course of one year, while his family struggled to come up with the financial means for his treatment. When the doctors of St. John’s decided that he needs to be treated in a more specialized hospital in Jerusalem, Muhannad ran away. “I had troubles with my eye for more than a year and the infection was very painful. I didn’t want to undergo another surgery”, Muhannad explains. As the permit for treatment in Jerusalem would have taken another 2 weeks, but the infection required an immediate surgery, he received the treatment in Nablus. “My entire life changed, following an incident that I was not involved in. I had to quit my studies to become a blacksmith because of my handicap and I don’t like to go out and be with people anymore. I just want to be left alone. I feel tired all the time and sleep through most of the day”, Muhannad describes. He has been unemployed for 1,5 years, following the attack, and lacks joy and motivation to start again. To make things worse, Muhannad’s father lost his working permit for Israel following his son’s accident, leading to an even more dire financial situation of the family, exacerbated by the treatment costs. “Our son has changed a lot, he used to be a social person and now he barely speaks with us, he doesn’t listen to our advice and he is depressive. We are really concerned about his future”, Muhannad’s parents emphasize. 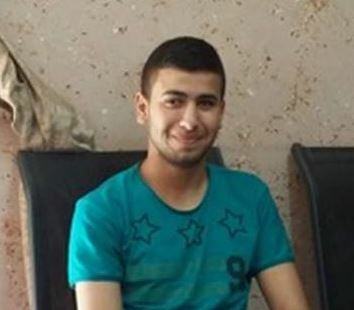 The 50 years of Israeli occupation have been accompanied by the use of excessive force by the Israelis against innocent Palestinians, without any differentiation between perpetrator and bystander, as in Muhannad’s case. Live fire is frequently used by the Israeli Occupation Forces in accordance with Israel’s live fire rules that have been changed in autumn 2015 to give the executing forces even more latitude in using live ammunition against Palestinians. Israeli law enables the Israeli forces to use live fire in reaction to stone throwing, which has led to a high number of casualties and injuries. These attacks violate international humanitarian law, demanding the occupying power to comply with the principle of distinction and the principle of proportionality, both of which are being violated when innocent civilians are injured and killed during clashes. The PCHR documented the killing of 97 Palestinians in the oPt in 2016 only, 95 of whom were civilians, in grave violation of the right to life of Palestinian civilians. Investigations revealed that a large number of casualties and injuries were due the employment of excessive force by the Israeli forces and could have been prevented.